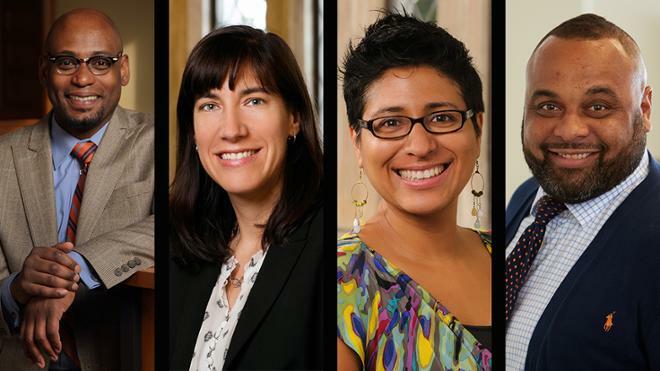 A group of four University of Richmond faculty, including the Dean of the School of Arts and Sciences, Patrice Rankine, have been accepted into the Council of Independent College’s Institute on Diversity, Civility, and the Liberal Arts. Also participating from Richmond are Amy Howard, assistant vice president of community initiatives and the Bonner Center for Civic Engagement; Patricia Herrera, associate professor of theatre; and Julian Hayter, assistant professor of leadership studies. This institute will take place over four days this summer in Atlanta.